There's always a lesson to be learnt even in the most terrible of tragedies. Teach your children these lessons to prevent disasters like this reoccurring in the future. On Friday the 14th, when most Sri Lankans were celebrating the New Year, disaster struck in Meethotamulla, Kolonnawa. A literal mountain of garbage that had been collecting and growing in the area for over 20 years, collapsed onto at least 150 nearby residences. The latest death toll is 26, according to news reports, and is expected to rise. Four children are among the dead so far. It’s no secret that this was a (preventable) tragedy waiting to happen. Many are pointing their fingers at government and other authorities, who undoubtedly must shoulder a good part of the responsibility for this disaster. But think about it – who created the garbage in the first place? We did. You and I, our children, neighbours, family and friends – everyone living in the city of Colombo. There will now be hasty solutions slapped in place to tackle this problem, lots of talk and continued finger-pointing. However, the real solution needs to be long-term so that this will not happen again, because eventually, everyone will forget that this disaster ever happened. The solution must be one that incorporates creating awareness among families, and through them, in our children, so that with this education, they come to understand the true value of the environment and the beauty of our island that is fast being buried under rubbish. Here are some useful ideas on the matter for you as families to incorporate into your lives, while teaching your children to do the same so hopefully, they will grow up to be civic conscious adults with a strong sense of societal and environmental responsibility. We really can’t stress the importance of this simple task that has the ability to reduce tonnes of garbage, should every Sri Lankan family take it seriously and put it to practice. Take your own shopping bags to the supermarket, whether already used plastic ones or the cloth bags big supermarkets sell to promote recycling. Give your kids the task of reminding you if you tend to forget to take your own bag/s. Or you could permanently keep a couple of these bags in your vehicle. Some (most, really) supermarket employees are really bad ‘baggers’ of your purchased items. If you have forgotten to take your own bags and you see the supermarket staff grabbing 15 plastic bags for five items, ask them not to do this and to economise on the number of bags they use. Even better – do it yourself. Make recycling at home fun. Used printouts can be used by your kids as colouring or craft paper; empty egg cartons can be used to plant seeds; empty cardboard boxes can transform into whatever your child’s imagination desires. Be creative and your child will be too and those items stay out of landfill – it’s a win-win situation. Recycle your plastics as much as you possibly can at home (check out these awesome ideas on Pinterest for some cute arts and crafts you can do with your little ones). The rest, bag and keep ready for the garbage collectors. The concept of waste separation is not practiced by many Sri Lankan households, as far as I’ve observed. Plastics, paper, foil and other recyclable material are merrily mixed with vegetable scraps, leftover food and other decomposable scraps. 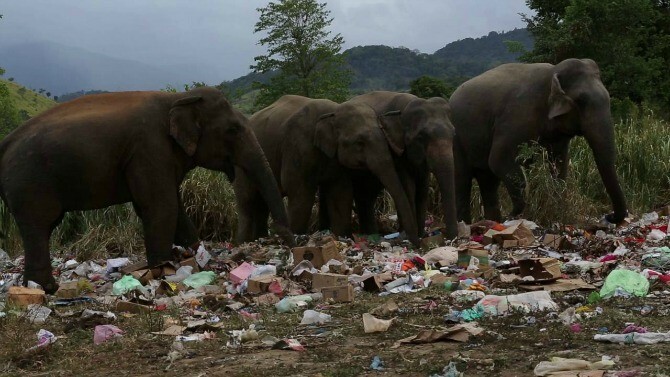 Then, everything is dumped together in a plastic bag and lands – you guessed it – in rubbish dumps such as the monstrosity at Meethotamulla. Consciously make the effort to stop mixing your garbage like this. Separate your veggie, fruit and food scraps and use them to make compost. You can even bury your kitchen scraps where they safely decompose and add nutrients back to the soil. Keep separate bins for purpose of garbage separation and teach your children how to use them, not forgetting to tell them why waste must be separated like this. Follow this routine and I promise you’ll be pleasantly surprised at how little garbage you’ll collect in your home on a daily basis. Plastics as landfill, take thousands of years to decompose and have a devastating effect on the environment. Plastic takes over 1,000 years to decompose when added to landfill. In order to slowly reverse this we need to make it our responsibility to stop buying plastic whenever possible. A good starting point is to stop buying disposable plastic water bottles. As we don’t really have lots of clearly marked public trash-cans for recyclables around Colombo and elsewhere in the country, these bottles when empty more often than not end up as landfill, adding to the garbage problem and the environmental tragedy looming over our children’s futures. Buy a sturdy BPA-free water bottle and take your own water with you when you travel. Take water bottles from home for your kids when you’re out and about. It’s not just environmentally friendly, but you’re saving your money too. Use lunchboxes instead of polythene wrap and newspaper to pack your food and your child’s. Otherwise, replace the plastic wrap with a banana leaf. You are your child’s most influential role model. If you throw that empty plastic bag out of your car window, your child will do the same. If you don’t teach your child the importance of recycling and how to do it, they will never learn and neither will their children. And so the vicious cycle is never broken. Grow vegetables and fruits in your garden with your child (even if it’s just a couple of pots) and fertilise them with compost you make out of your fruit and vegetable waste. Talk to your children about why we shouldn’t pollute our environment with garbage, teach them about the consequences of doing this. If you child is old enough to understand, talk to them about the Meethotamulla tragedy. Ask them about how they think it could have been prevented. 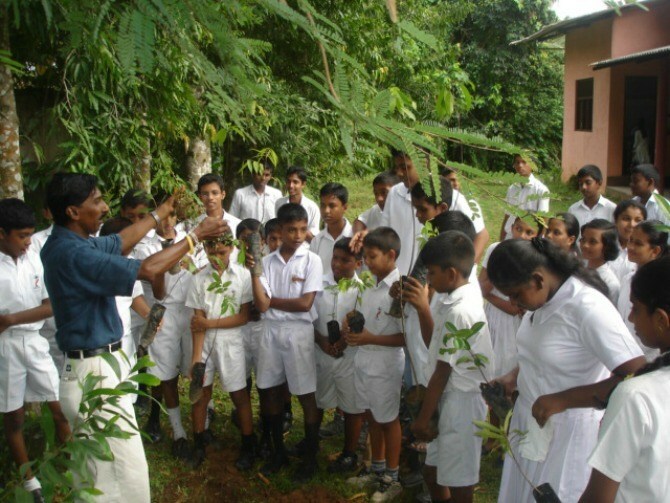 Education and awareness are key to a long-term solution to preventing environmental catastrophes such as what happened at Meethotamulla and you, as parents, hold that key. Use it wisely. Share your thoughts on this article in a comment below. මහනුවර ත්‍රිත්ව විදුහලේ සිසුවා රග්බි ක්‍රීඩා පුහුණුවීම් කරමින් සිටියදී මහමග ඇද වැටී මියයයි.